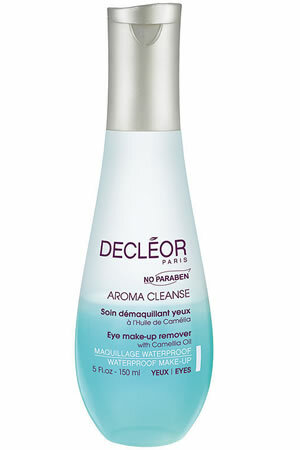 Decleor Aroma Cleanse Refreshing Eye Makeup Remover is an instant Eye Make-Up Remover with Camellia Oil. 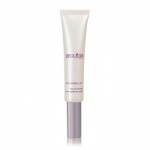 It is a bi-phase cleanser with an oil phase that removes every trace of make-up including waterproof mascaras. Suitable for the most sensitive skin or contact lens wearers, this aromatic formula composed of Corn Flower Water soothes, decongests and helps to reduce dark circles under the eyes while Camellia Oil comforts and nourishes the skin, making it easier to remove all traces of make-up. Paraben and fragrance free. 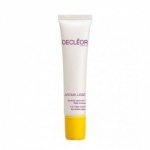 Decleor Prolagene Lift & Brighten Eye Cream is a fragrance-free eye cream with a double-action formula to lift the eye contour area and boost luminosity.